Congratulations Janak Gaire and team for Scientific Reports Publication! The paper is available here in the READ MORE: [Link|PDF]. October 2016: NPR Lab presenting at BMES in Minneapolis. The NPR Lab is proud to have Janak Gaire and Matthew McDermott representing us at the 2016 BMES Annual Meeting in Minneapolis this week. 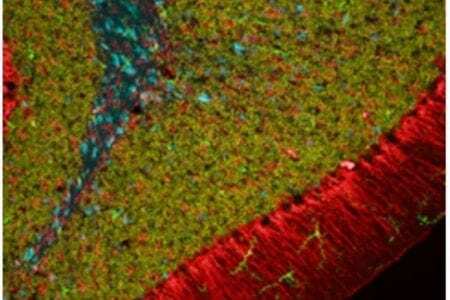 Janak will be giving a talk on a novel mouse model expressing endogenous fluorophores while Matthew will be presenting a poster on drug release of coated neural devices. 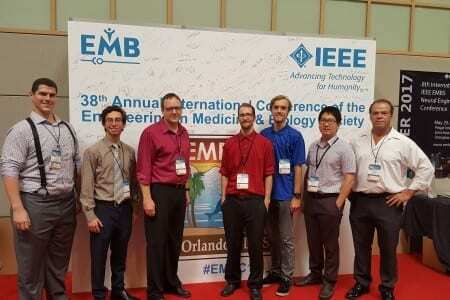 August 2016: NPR lab presents research at the 8th International IEEE EMBS Neural Engineering Conference in Orlando, Florida. Alan Truong completed his B.S. in Bioengineering at the University of Utah in 2010. Currently he is pursuing a PhD in Biomedical Engineering at Purdue University. He joined the Neuroprostheses Research Laboratory in the fall of 2010 and is currently involved in Parkinson’s disease research.